The J.C. Rockstroh Bakery Building is located on southbound North Adams Street, south of its intersection with Cherry Street, at 115 North Adams Street, Green Bay, Wisconsin 54301. Fine Richardsonian Romanesque inspired design topped by a complex cut stone parapet which features a pressed tin plaque. The design on the plaque incorporates a sickle and a sheaf of wheat, symbolizing the baker's trade, with a date panel above it which reads "A.D. 1894". 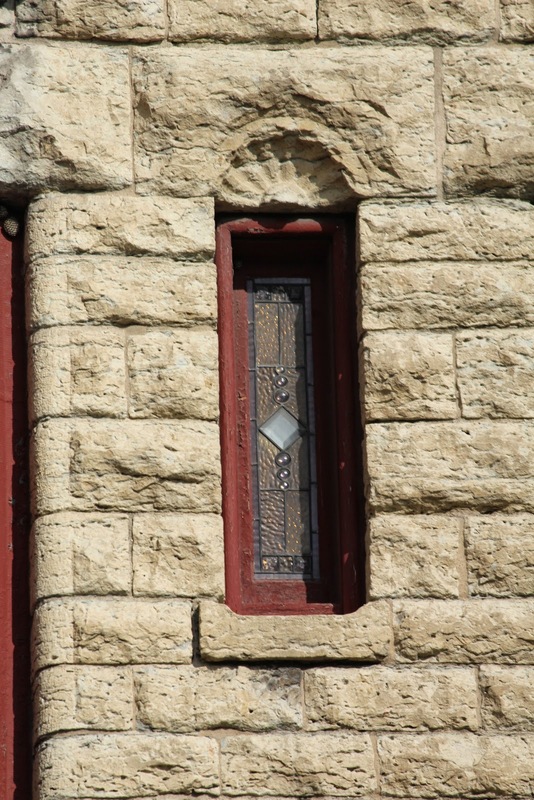 The entire facade is covered in rock-faced cut stone typical of the Richardsonian Romanesque style, and which is used here to give a more picturesque appearance to a form more typically done in brick and which can be found in several other Green Bay examples. Cut stone pilasters flank the altered display windows which have a cast iron beam above as a lintel, and which is ornamented with cast-iron rosettes and strapwork. Above is an asymmetrically placed polygonal oriel window which has a rounded base and panels between the windows decorated with swags. The oriel also has a stepped hip roof. There are seven skylights, with gun turret windows on the sides of the building. The interior of the 1st floor retains its original wooden ceiling composed of varnished tongue and groove wood strips and divided into panels by raised wooden boards. Several of the intersecting of these boards have wooden roundels for ceiling fans. The apartment and the facade were restored to its original form by owner Bob Sanderson in the 1980s. The building is clearly related in style and period to the less elaborate examples next door at 117 N. Adams Street. The Rockstrohs ran a bakery and confectionery business on the first floor of the building and lived on the second floor. The last remaining Rockstroh family member lived in the upstairs apartment until c. 1978, when they sold the building to the C.A. Gross Company, who ran a women's clothing store here. In 1982, the building was sold to Bob Sanderson, proprietor of The Heel. The building is now home to The Heel Health Shore Store.